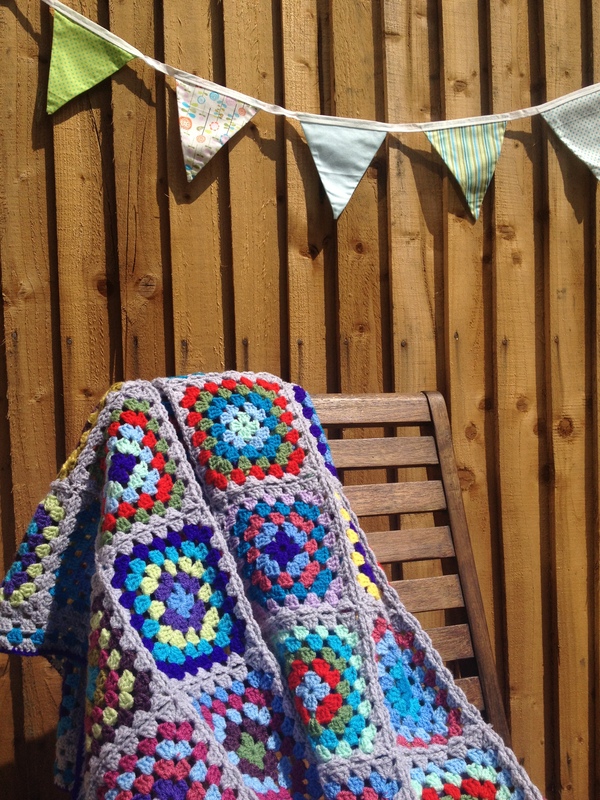 This true vintage granny square blanket lives in Lisa, from the lala fauxbois blog’s home. I love everything about this photo. 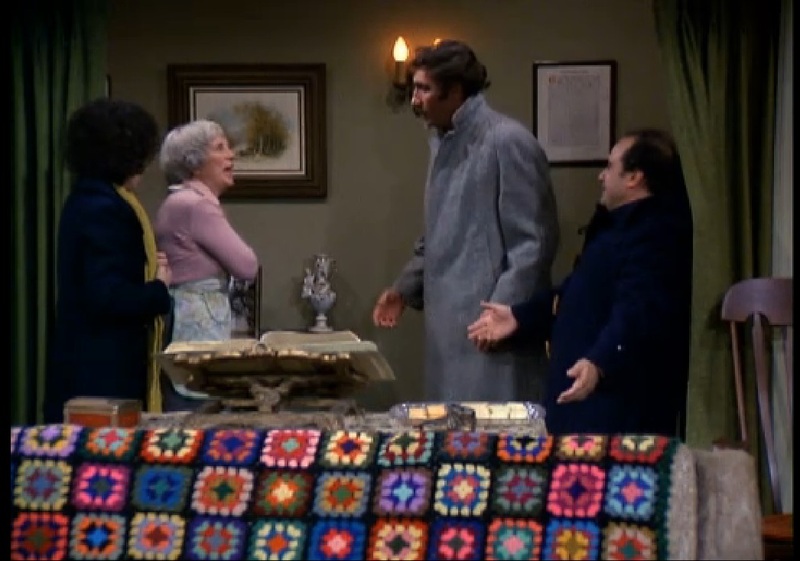 If my grandmother and I were to collaborate to decorate a bedroom, this is what it would look like. 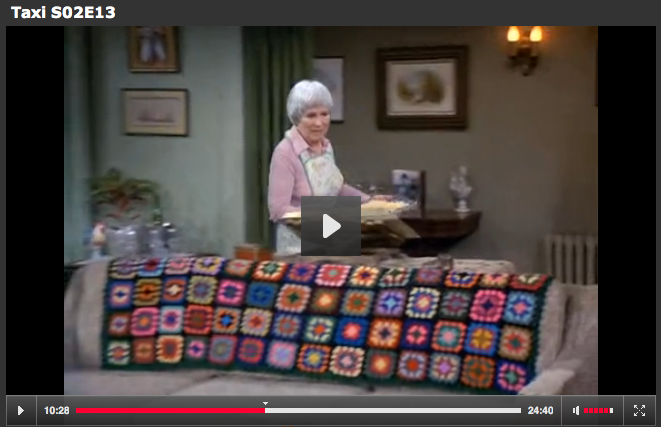 Gran had a bedding set of orange flowers with green leaves in soft flannel very similar to the ones in the photo. 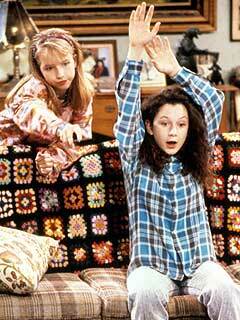 Whenever we had sleepovers at her house, the spare bed would be made up with that set of flowery sheets and pillow cases. 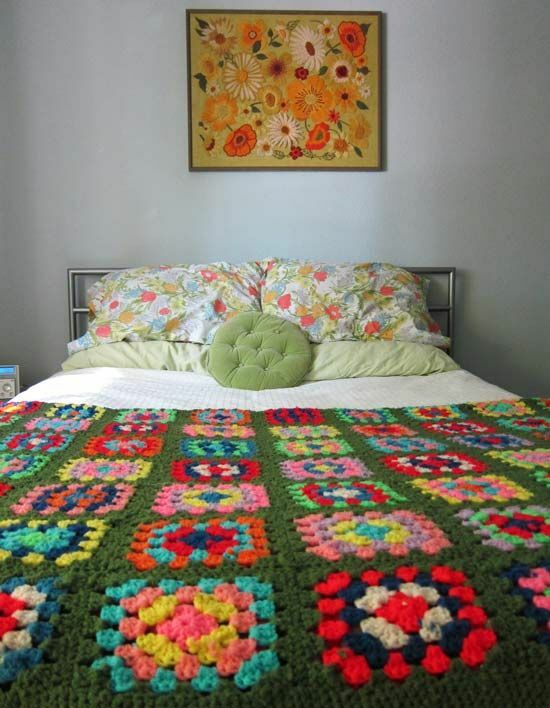 To match her sheets, she would definitely have gone for the orange and brown print above the bed and I, of course, would have added a granny square afghan. All done! 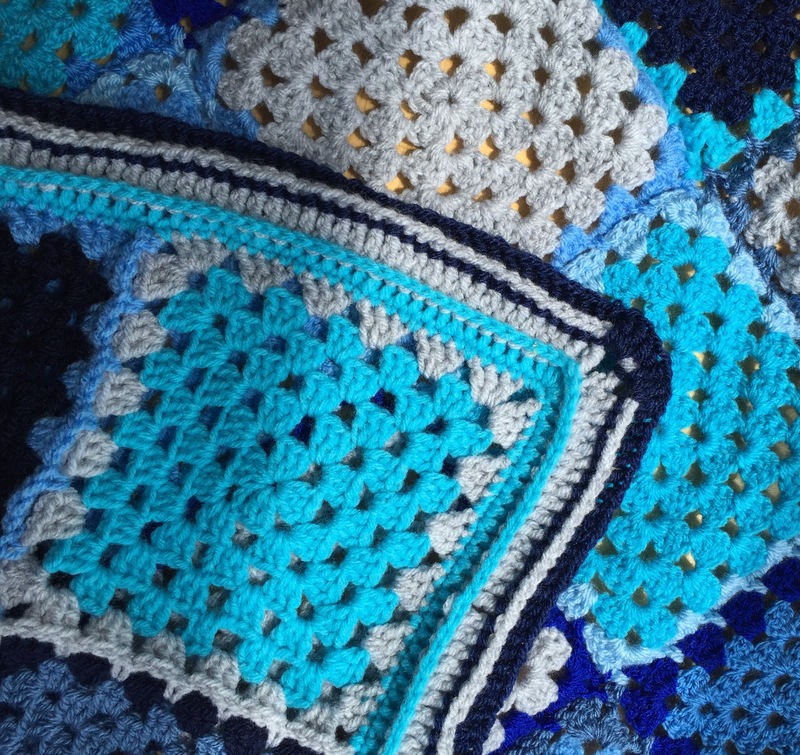 Nicole’s granny square blanket is ready to adorn the new couch in her new home. 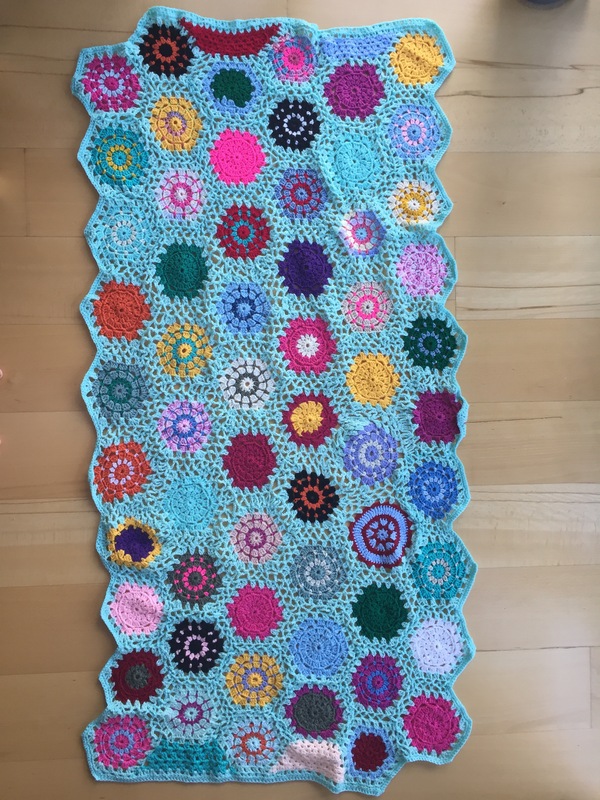 I had a great time making this granny square blanket and I’ll do it again in a heartbeat! 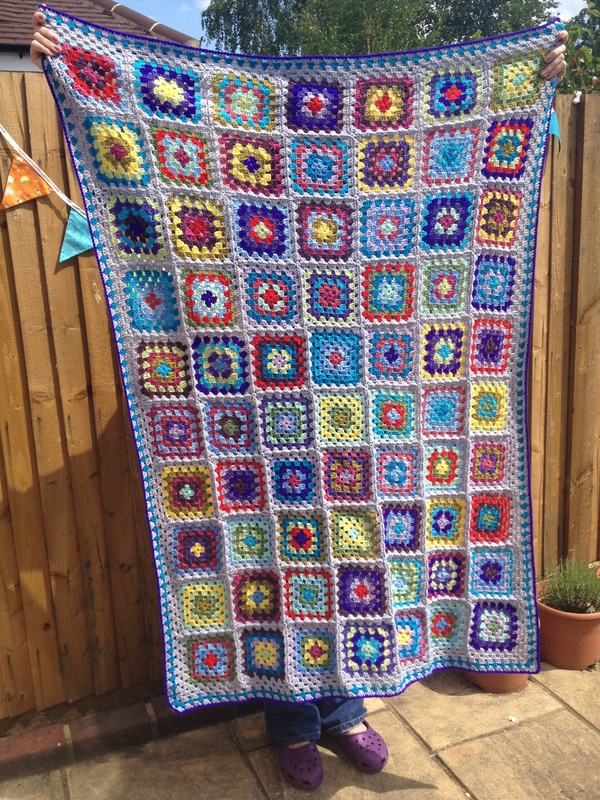 The border had to round off the blanket and be understated enough not to distract from the granny squares. I didn’t do anything fancy; just 4 rounds of shells and a SC row, but I included two colours. Picking only two colours out of 15 was tough! I changed my mind a hundred times. Even when I had settled on two colours, I still had to decide which one to use for the shell row and which for the SC row. So many choices! In the end John helped me settle on bright turquoise and bright purple. 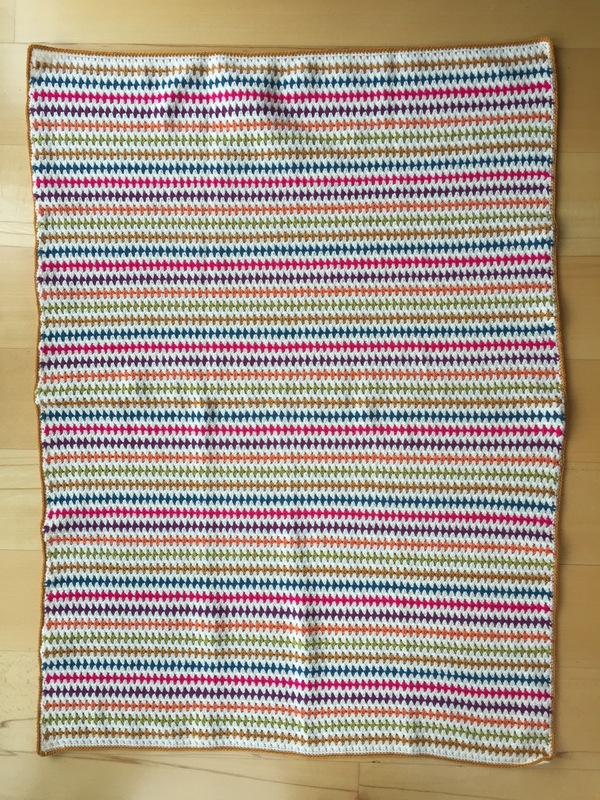 We worked out that the blanket looked best with the darkest colour for the absolute final row so that narrowed things down quickly. Yarn: Sirdar Hayfield Bonus DK colour pack from Deramores. I used all the colours in the pack, except Pink. The grey is Sirdar Hayfield Bonus DK in shade 814 – Light Grey Mix. 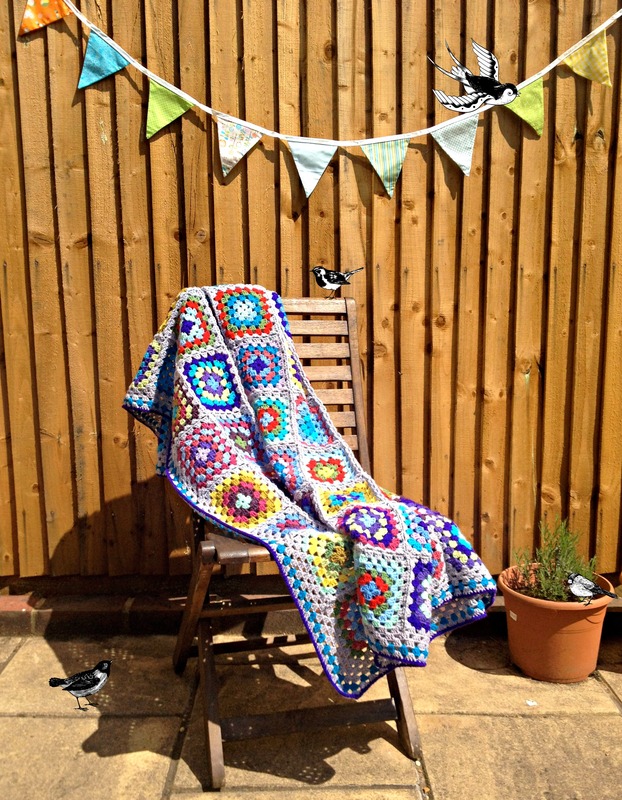 The Deramores pack is a brilliant idea and the key to the success of this blanket I think. 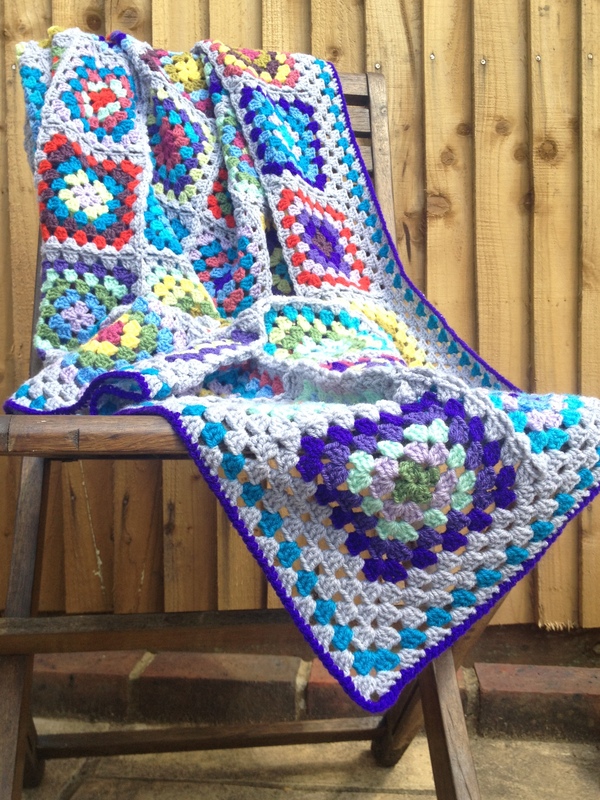 Pattern: 70 traditional granny squares consisting of 6 rounds each, arranged 7 wide x 10 long. 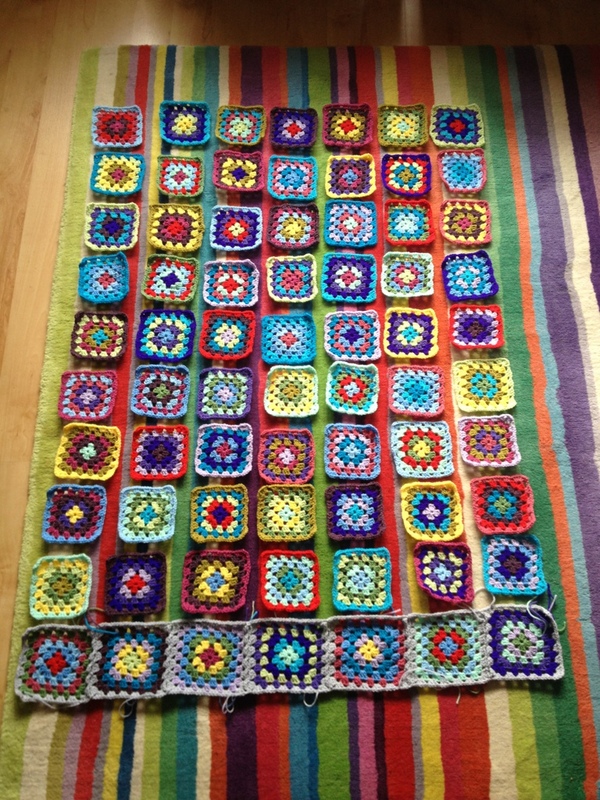 The 6th row of each granny is done in Light Grey. 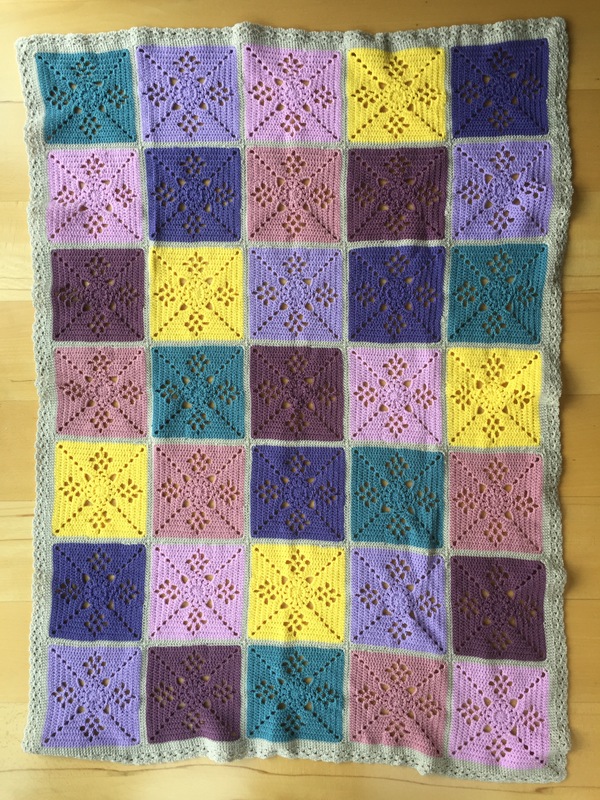 Border: Two rows of granny stripe shells in Light Grey, a row in Bright Turquoise, a row in Light Grey and then finally a row of SC in Bright Purple. To get the border to lie flat, I used Bunny Mummy’s technique that she explains here. I also followed Lucy’s tip on steam blocking acrylic yarn so that the final SC row wouldn’t curl up. It worked liked a charm! Time spent: I started on the first Bank Holiday Monday in May, and finished on the second Bank Holiday Monday in May, so 22 days. Liezel and I will be meeting Nicole on the 15th of June to hand over the blanket. Liezel came along because it was through Liezel’s Instagram feed that Nicole found me and asked me to crochet the granny square blanket for her. I’ve never met Nicole, and Liezel has only met her once. Can you believe it?! 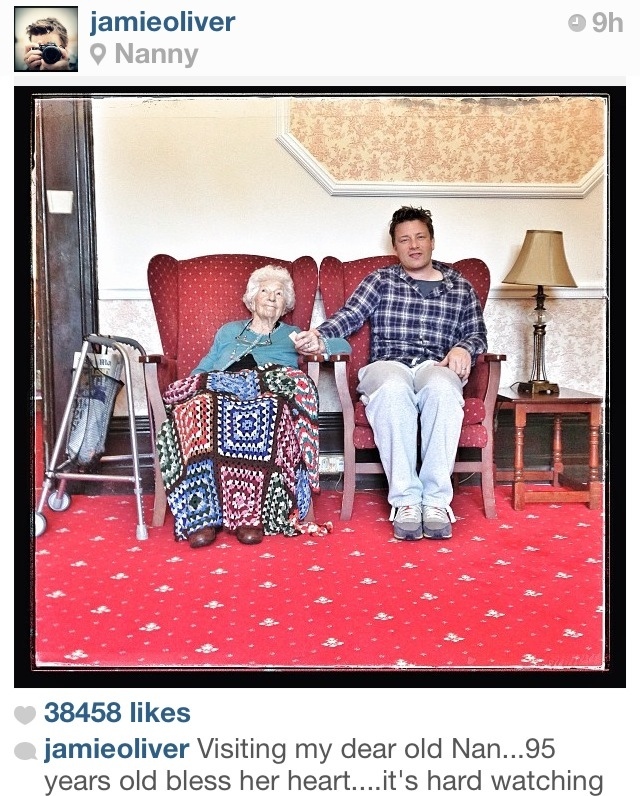 The power of Instagram, iPhones and mutual friends is a thing of beauty! Nicole, I hope the love and joy in each crochet stitch will bring you years of snuggly happiness and blessings in your new home. 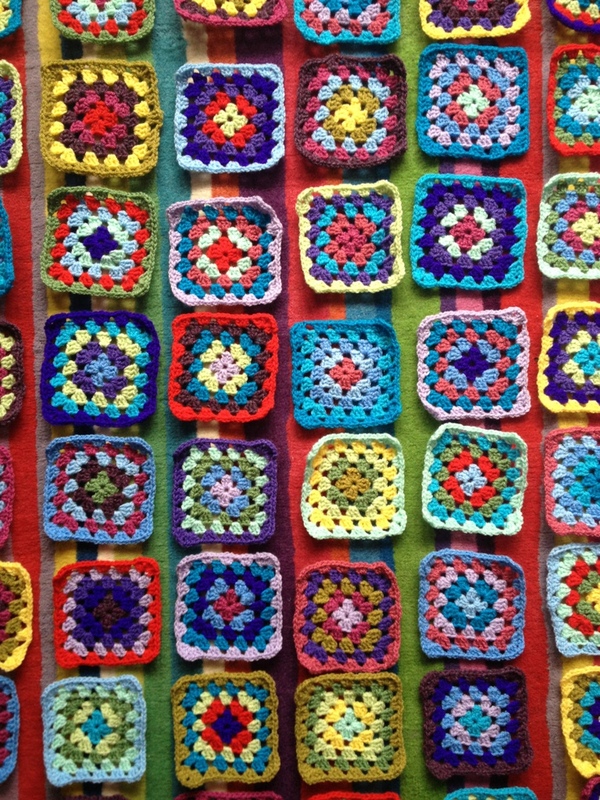 Don’t these colourful granny squares just make your heart sing? I certainly does mine! I was dancing, literally dancing, around these 70 squares on Sunday. They give me such a happy buzz!!! I had to lay out the 70 squares on my striped carpet so that I could arrange them before doing their 6th and final, join-as-you-go round in grey. 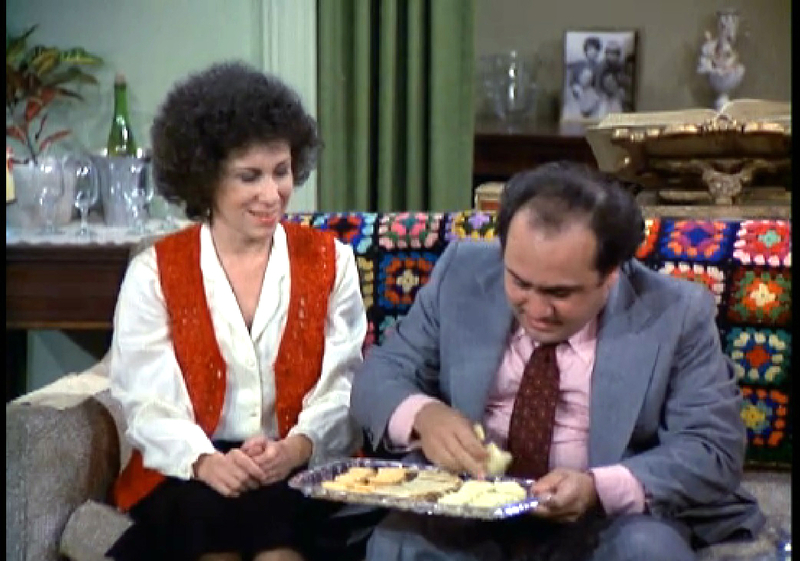 There’s that planning randomness again…. 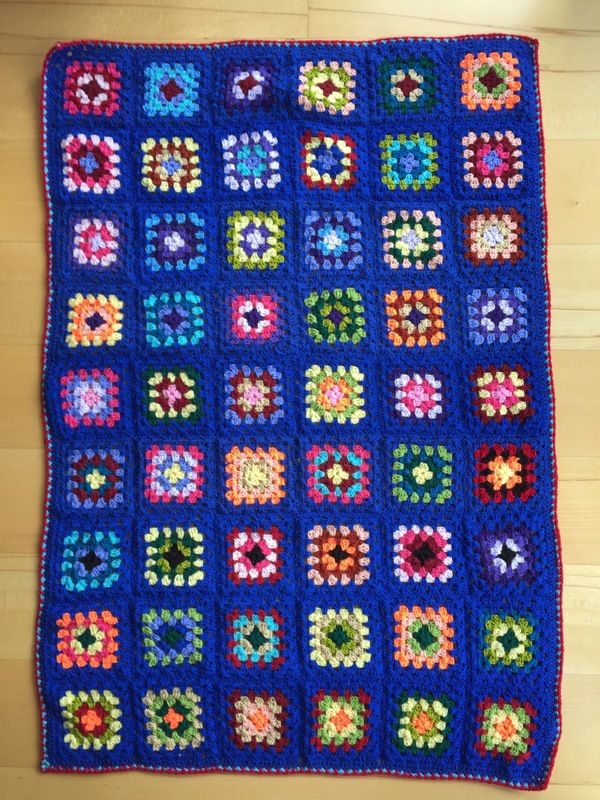 This time I didn’t have a structured plan like I had for making the granny squares, I just played with my squares until they felt right. John was sitting on the couch with me and my excitement even spilled over to him. By the end, he was also squinting to see if the red and yellow was spread out evenly, rearranging squares because “that corner looks a bit dull” or “I think you need more red over here”. 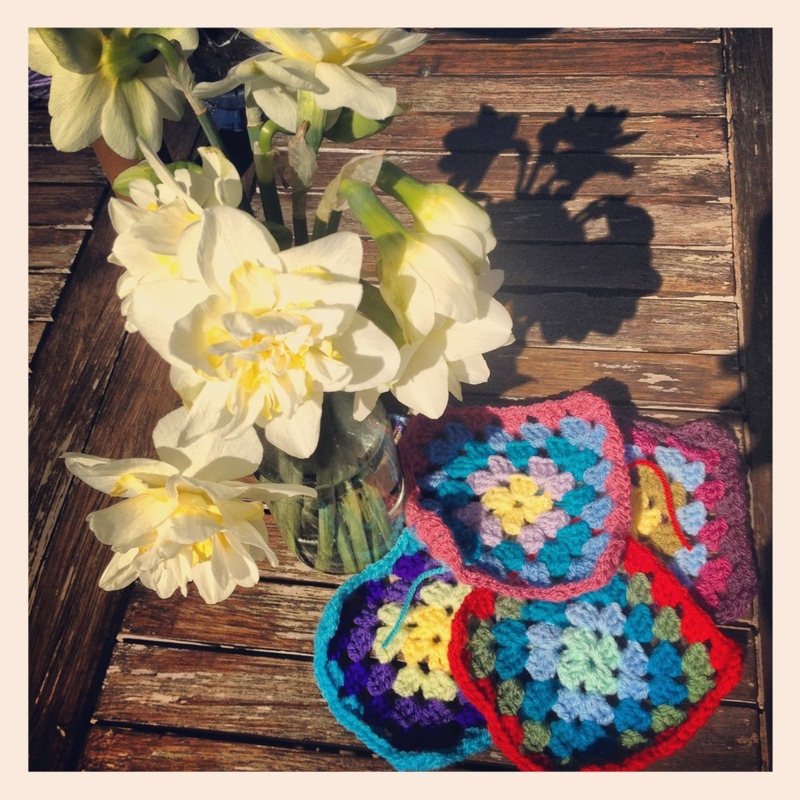 Seems like no-one can resist the charms of the humble granny square. At the bottom of the photo below you can see the first row of seven granny squares I joined together with the grey yarn. It’s absolutely amazing the difference that round of grey makes to my zingy granny squares. The colours calm down immediately; it’s like giving Ritalin to an ADHD child. 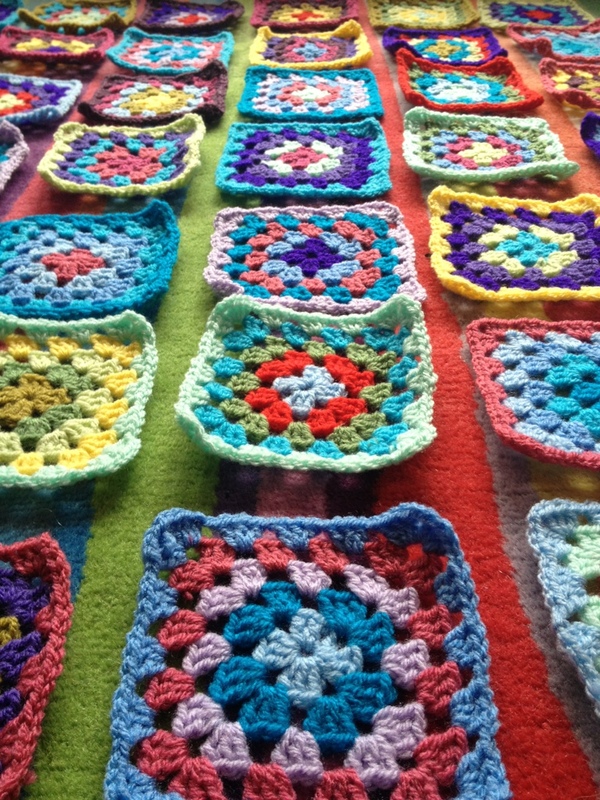 I really can’t wait to see how it will look when I’ve joined all the granny squares with the grey. I’m sooooo excited! Honestly I am. Just typing this post and look at the photos again makes me buzz with joy. 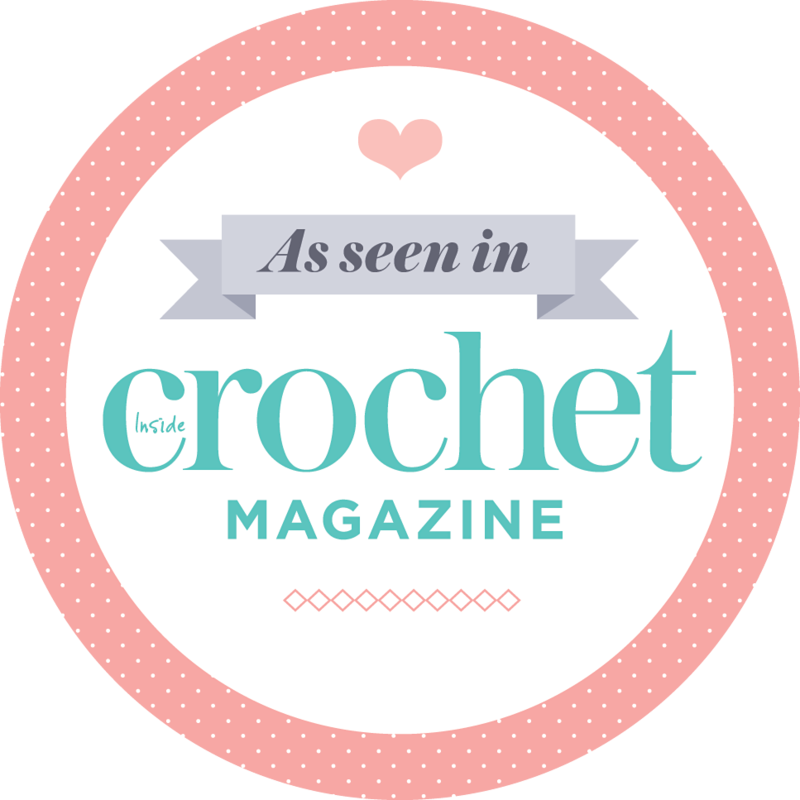 A good ending for this post would be for me to now say I need a Ritalin to calm me down, but I like feeling excited about my crochet – why would I want to change that? It’s a blessing when your craft gives you such fulfilment. 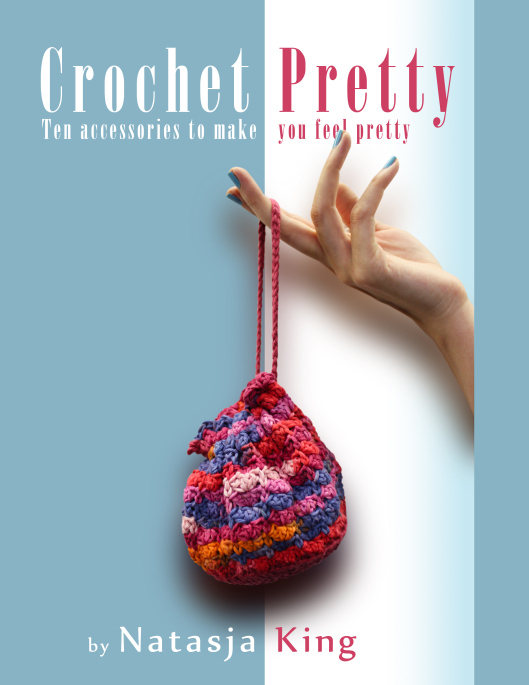 I sincerely hope your craft has you bustling with merriment, the way crochet does me.